Last night, six of us went out to dinner at one of the nicest restaurants in Salta. We ordered two bottles of good Laborum cabernet sauvignon. We had beefsteaks, dessert and coffee. The bill came to 1,058 Argentine pesos (about $200). Was that a lot... or a little? It depends. If you traded your money at the official rate, the meal would have been priced at around $200. Very reasonable. But if you had traded your money at the rate quoted yesterday on the black market, the dinner would have been even more reasonable – barely more than $100. This morning, the cab ride from the airport into Buenos Aires cost 50 pesos. At the official rate, that's about $9. At the "blue" – or free-market – rate, the ride cost only $5. The alert shopper can save a lot of money. The dull one gets ripped off. All governments engage in larceny and fraud, using their authority to transfer wealth and power from the outsiders to the insiders. But the clever government does so by deception... while the clumsy one does so with no pretense or excuses. In the US, for example, the feds deny savers any financial return from their economies under the pretense of "economic stimulus." Wage earners get nothing, while bankers, speculators and zombie grifters are rewarded with ultra low-cost financing, capital gains, bailouts and giveaways. The scale of this wealth transfer is the greatest in all history. Trillions of dollars are changing hands... But not one voter in 1,000 understands what is happening to him. 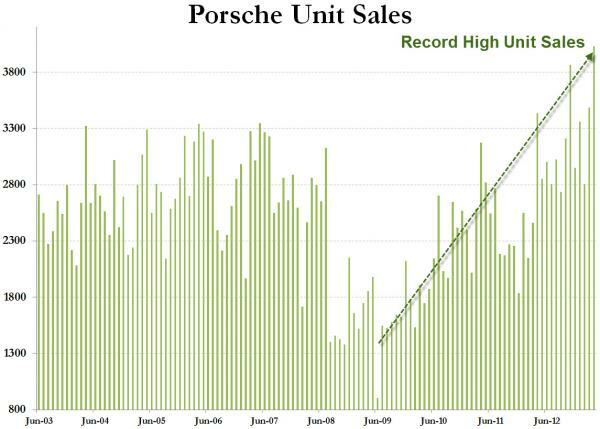 The typical American is not buying a Porsche. Relatively, he's getting poorer. But his brain has gone soft, shrunken by TV news, elections and deadhead commentaries. He believes Hillary Clinton when she says, "The government is all of us." He thinks the Fed really is bringing a "recovery." And he imagines that an economy can get richer when it prints more money and gives it to other people. Here on the pampas the Argentines know better. Their brains have been sharpened by adversity and enlarged by necessity. "Every day, it is a struggle to keep up with it," says a friend who runs a small business in Salta. "You have to figure out what the peso is worth... and you have to decide if you'll do a deal in pesos or dollars. And if you do it in pesos, you have to figure out how to trade dollars for pesos... or vice versa." This week, the peso dropped to nearly 10 to the dollar. Officially, the rate is only 5.5 to the dollar. Big difference. We need to buy a new hay baler. The price is quoted in dollars – about $50,000. You pay in pesos at the official rate... so that's about 250,000 pesos. But wait – if you have dollars and can trade your money on the black market, you will save $25,000. "The trouble is, the government is watching," says our informant. "They'll want to know where you got the 250,000 pesos... it can get very nasty if you don't have your paperwork in order. The Argentines know they're getting ripped off by the government. They find ways to protect themselves. "I bought a new truck recently. But I made a bargain with the dealer. He delivered a new truck to me. But then he waited eight months to write up an invoice. By then, he was able to call it a used truck... and cut the invoiced price by half. It looked like I was paying full price for a used truck... I was actually paying full price for a new truck, but with money traded at the unofficial rate. "Everybody's got a trick or two. You have to. Otherwise, you're a sap." The Argentines know they can't trust their money... or their government. In comparison, Americans are saps. They don't know whom to trust. But we'll make a prediction: Americans will be a lot less sappy... and a lot less wealthy... when they finally realize what the feds are doing to them.